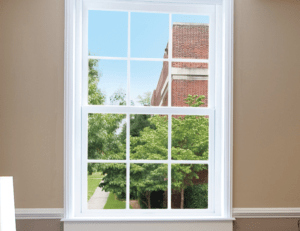 Does My Home in Escanaba Need Replacement Windows? Many times the need to replace a window will be obvious. The window is broken, it’s cracking, or it is beginning to fade. However, there are sometimes when the urgency of needing new windows will be less obvious. Homeowners in Escanaba, Michigan, and the surrounding areas, expect their windows to be working at peak performance throughout the entire year because even the slightest draft can lead to a dramatic increase in your energy bill during the cold winter months. Thankfully, The Window Store Home Improvement Center is in the area and will help you determine whether or not you require new windows at your residence. Some of the common things to look for will be any issue that is causing air to escape your home or exterior air entering your home. This could be a slight crack, warped frames, improper installation, or moisture damage to the window. If this is occurring, it is definitely time for a replacement. We have proudly served the area since 1992 and have extensive experience with all aspects of the window replacement industry. Our team of professionals will ensure that your window installation is completed promptly and that your home is conserving energy like never before. We feel so strongly about the products we install and the installers who perform the replacement what we offer an impressive two-year labor warranty on all installations. This is in addition to the already outstanding 20 year manufacturer’s warranty available on the individual products you select. To learn more about the replacement windows we install for homeowners in Escanaba, MI, and the surrounding areas, contact The Window Store Home Improvement Center today. When you do, one of our window experts will happily answer any questions you may have. As i was told, your company has done an excellent job from the first email contract all the way until the job was done. My wife and I just could not be happier! Thank you all for everything.